While we've been getting a ton of promotional material from Rogue One: A Star Wars Story, including a plethora of TV spots, it appears the press tour for the film has officially begun in a city not so far, far away. Earlier this week, Diego Luna, who portrays Cassian Andor in the film. 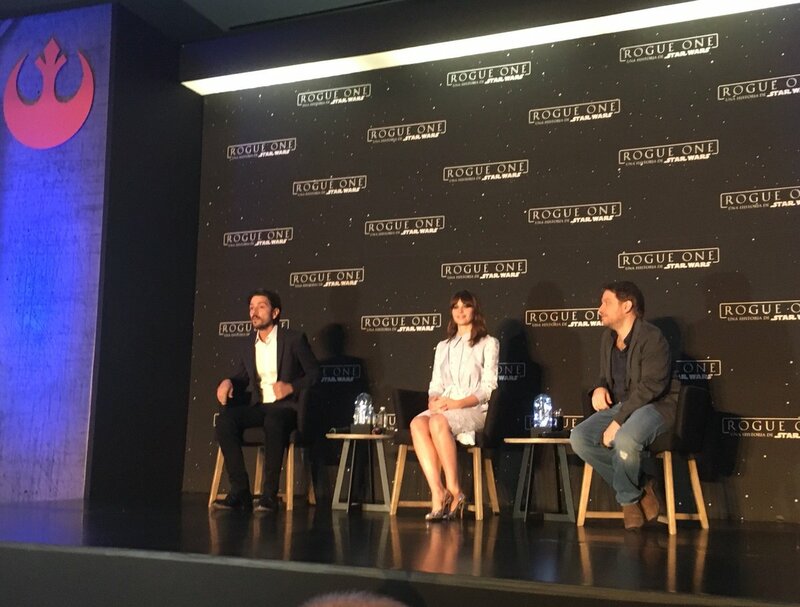 returned to his home country of Mexico to promote Rogue One. Along with him, fellow cast member Felicity Jones, who plays Jyn Erso, and director Gareth Edwards journeyed to Mexico City for some special Rogue One events. This is the audience that saw 20 minutes of #RogueOne in Mexico last night!! Rogue One: A Star Wars Story, or "Rogue One: Una Historia de Star Wars", as it's know in Mexico, opens in theaters on December 16th!